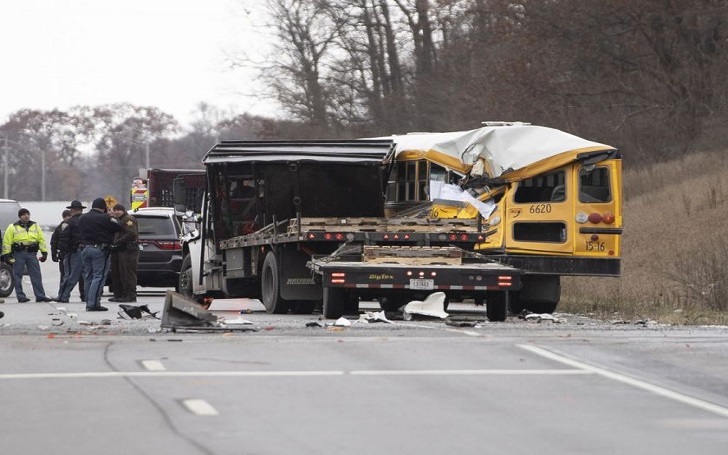 A truck traveling the wrong way on Interstate 74 in Illinois hit head-on into a bus carrying a girls basketball team on Wednesday, December 5, and the accident left at least one person dead and one critically injured. According to McLean County Unit 5 officials, Charlie Crabtree, 72, who was the volunteer for the Normal West High School team, was killed. Three other adults were reportedly airlifted to Peoria; their conditions are still unknown. OSF HealthCare St. Francis Medical Center says one adult is in critical condition. According to WEEK-TV, authorities said the bus was slammed head-on by a wrong-way truck going McClean County. The bus' front end was reportedly severely damaged. The school's athletic director told WEEK, the basketball team was heading towards a road game in Champaign. McLean County Unit 5 officials report that 11 people were on the bus and the students were taken to local hospitals with minor injuries.